Smart Multi Clipboard is the all new step to innovation which lets the user copy multiple clipboard items which can be further accessed by just selecting the same in a text field. The application is a clipboard manager that is designed to make user the ultimate organizer of copy and paste which nevertheless simplifies the operations. It maintains clipboard history and remember what you copied yesterday or last week as well current clipboards. The users who wish to copy multiple data to access at times without the issue of multiple-times typing must surely give this app a try. It stores the copy items and copy notes in stack to be accessed easily. â¢	Multi Copy Feature: The app lets you copy multiple items at a time and store them on the clipboard in stack to access whenever required at the destined place. â¢	Easy Reach to Other Apps: The copied content stored on the clipboard can be accessed and pasted at various other applications directly using the Smart Multi Clipboard. â¢	Easy OTP Accessibility: The SMS containing the OTP code needs not to be opened. The OTP code is auto-viewed and copied. A notification appears on the screen displaying the OTP code to manually enter it at the required destination. â¢	Instant Phone Lock: The bubble with the application is a short route to phone lock. Double tap on the bubble grants instant phone lock. â¢	One-tap Refresh: The bubble serves the purpose to speed-up the phone. A long press on the bubble clears the RAM which further increases the operational frequency of the phone. Easy OTP Accessibility: The application is designed in such a manner that it copies the OTP code received through SMS. This exempts the user from either switching between apps or memorising the OTP code to utilise it further. The application lets the complete SMS containing OTP code to float on screen to help the user access it when needed. The user can sway the popup anywhere on the screen, have a glance at the code and remove it when the task is done by sliding it away the popup on left or right. Multi Copy Feature: The application allows the user to copy and add multiple pre-defined texts and sentences including full name, Address, message etc. that are to be used frequently. The user can simply store such data on clipboard and then access it whenever needed without the trouble of typing it always. Mighty Bubble: The application serves an option named Floating Bubble and once it is enabled, a bubble floats on screen. The bubble touch lets open the Smart Multi Clipboard which then allows the accessibility of already copied item. 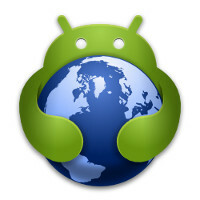 The bubble can be enabled or disabled using the application settings. The bubble can be customised and re-sized. The colour of the bubble, size of SMC (Smart Multi Clipboard) transparency and size of the popup can also be changed. Visit our website to know More Details: We tend to provide finest services to the users. Our website provides further details about how to use the application and what are the features available. Website link is under the Developer section below. Smart Multi Clipboard is the all new step to innovation which lets the user copy multiple clipboard items which can be further accessed by just selecting the same in a text field.